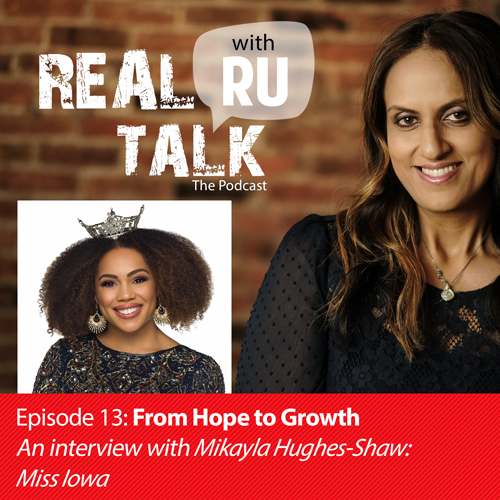 Mikayla Hughes-Shaw is a pageant queen – violinist playing – journalism writing – curly haired – suicide awareness advocate. Crowned Miss Iowa 2018 under the Miss Iowa Scholarship Program, she is taking a year off to fulfill her role. Mikayla is currently a third year student at the University of Iowa pursuing a bachelor’s of arts degree in Journalism and Mass Communication with a certificate in Critical Cultural Competence. Working with the magazine has inspired her to pursue the art of storytelling in a new way, by telling her story of dealing with a mental illness. Depression and suicidal thoughts ruled her life for most of her 17th year, and she is using her platform to help others. With the help of Royal Neighbors, she started an organization called “How About H.O.P.E. ?” (Helping Others and Providing Encouragement). © 2018-2019 Rumaisa Khawaja. All Rights Reserved. Site developed by Kings Royal Media.